Let’s check in with Sinclair’s Chief Political Analyst Boris Epshteyn and see what he’s up to? 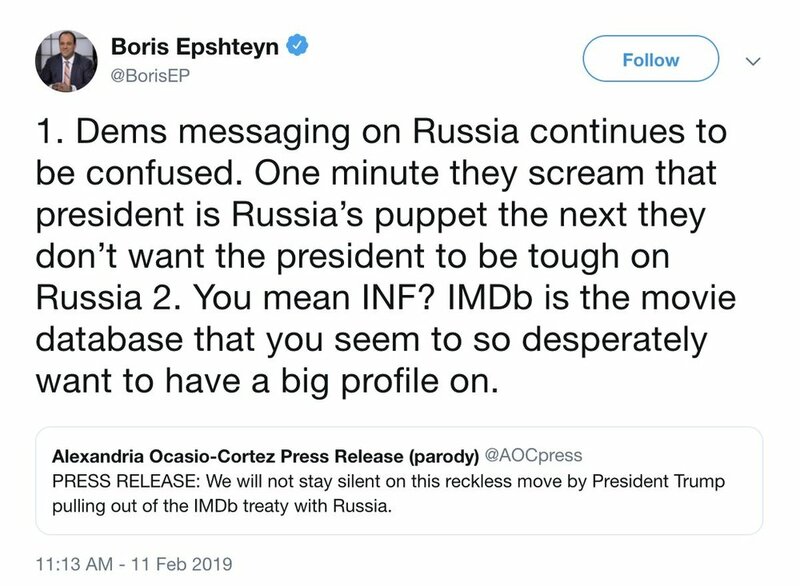 It seems Boris is in a Twitter fight with a Parody account for Alexandria Ocasio-Cortez. It even says it is a parody account right in the name. And for that, Sinclair pays this guy north of $350,000 bucks.